An avid reader in his youth, Amir Muhammad found that writing came naturally; by 14 he had already been published in several national newspapers. But Amir’s frustration at the lack of Malay-language fiction drove him to start Buku FIXI. This is his story. When Amir Muhammad first started Buku FIXI, the publisher was considered unusual. The first three books Buku FIXI released – Pecah, Cekik and Kougar – were not from the romance genre, immediately setting it apart from the majority of Malay-language publishers. “Someone who worked in a big bookshop chain once told me, ‘Malays are only interested in reading three things; cooking, romance and religion.’ So they called us ‘alternative’, ‘independent’ and all sorts of labels because we seemed unusual,” Amir says. Amir Muhammad, the founder of Buku FIXI, is a Malaysian writer, publisher and occasional movie-maker. Buku FIXI was established in 2011 to answer a call in genre fiction in the Malay language. But all Buku FIXI wanted to do was to address the lack of variety and diversity in Malay-language publishing. In 2011, Amir noticed that nine out of 10 nominees in a writing competition were romance works. Fed up, he placed an open call for story submissions on Facebook. Although the initial response was slow, Buku FIXI published its first three novels later that year. They were well received and Amir started attracting authors from all over the country. 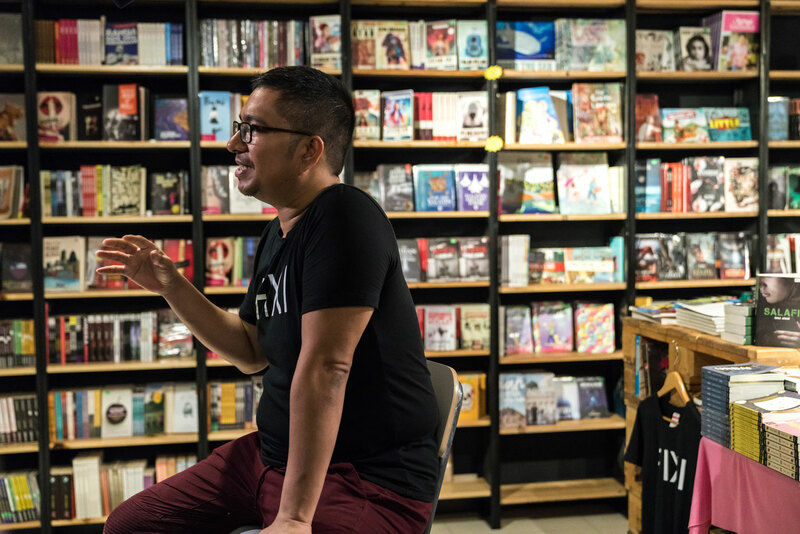 In 2015, he opened a bookstore, Kedai FIXI, in Kuala Lumpur, and Buku FIXI’s releases now consistently top Malaysian bestseller lists, and have claimed a number of literary prizes. 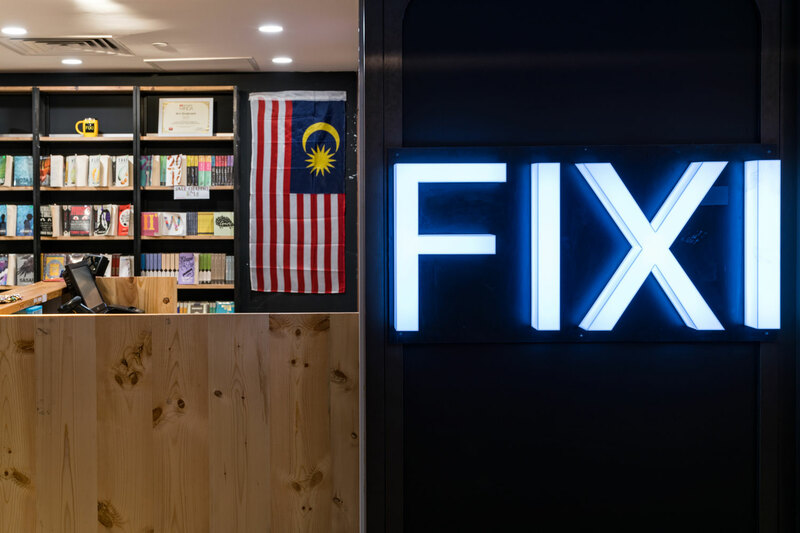 Kedai FIXI now has two outlets – one in Sunway Putra Mall and the other in Plaza Shah Alam. They also frequent book fairs, including the KL International Book Fair, one of the largest book expos in Malaysia. However, Amir admits that there’s no trusted recipe for success. Likening publishing to cooking, he explains that there are no precise measurements. Within its first year, two of FIXI’s books, Pecah and KL Zombi, were being adapted into movies. The popular horror novel Gantung written by Nadia Khan in 2013 also recently became an eight-episode mini-series aired in Malaysia and Indonesia. In an era when anyone with a social media account can be a self-published author, Amir says publishers now need to convince writers to trust them in order to publish their stories. Buku FIXI has launched dozens of first-time writers, crowdsourcing them through social media. The label now publishes close to 200 titles. Although Amir admits that the print medium no longer has the same cultural centrality as it once had, he believes that books won’t disappear if they remain a commodity that people value enough to buy. The FIXI umbrella now includes FIXI Verso, Malay-language translations of best sellers from authors like Stephen King and Neil Gaiman, and FIXI Retro, which publishes out-of-print Malay classics. Check out Buku FIXI’s online store or visit Kedai FIXI at their Sunway Putra Mall or Plaza Shah Alam. 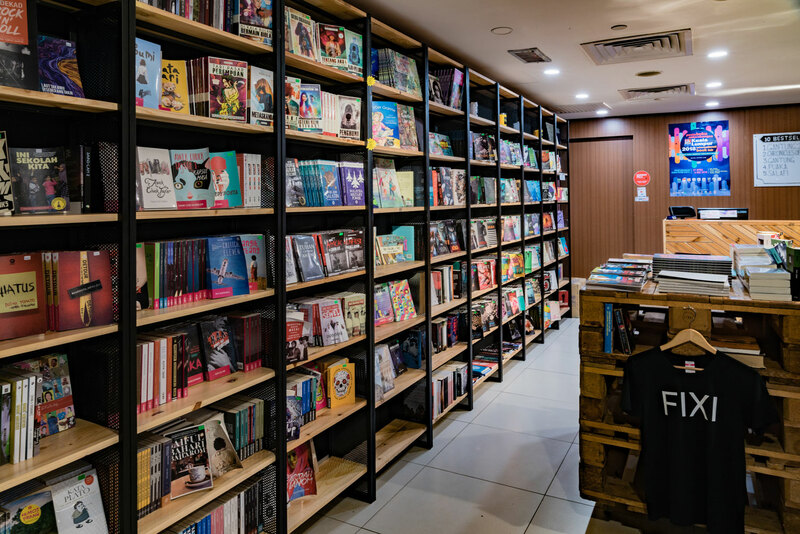 Buku FIXI’s books can also be found in major bookstores.